This native Peorian was born September 1, 1863. He played baseball for New York in 1887 when he hit .301 in 127 games. An outfielder, he was traded to Brooklyn where he played the 1888 through 1892 seasons, compiling 805 hits and 394 RBIs to go with a .282 career batting average. 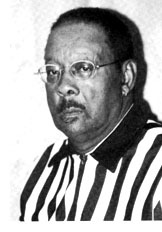 Darby played in 709 games during his 6 year career while compiling a .934 fielding average. 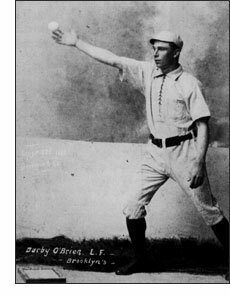 During the 1888 campaign, O'Brien patrolled left field while another Peorian, George Pickney, played 3rd base for Brooklyn. He helped lead Brooklyn to the 1889 pennant as he stole a league leading 91 bases and scored 146 runs, while Brooklyn edged St. Louis by 1 game on the last day of the season. Darby O'Brien is buried in Springdale Cemetery.